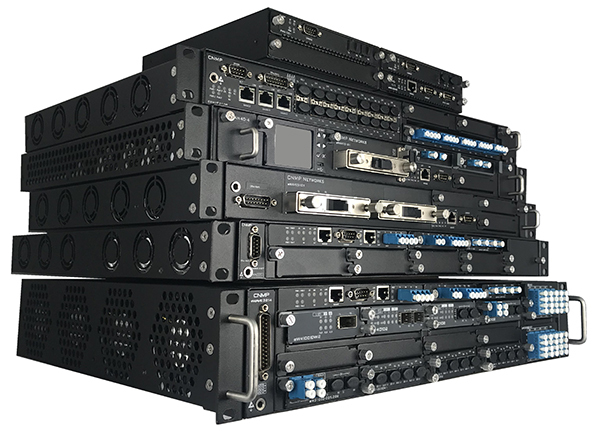 eWAVE Networks offers a wide range of WDM (Wavelength Division Multiplexing) optical networking products that allow transport services from 1Gb/s up to 100Gb/s WDM networks. The CWDM and DWDM provide the entire set of network infrastructure needs. eWAVE's products are designed to be the most cost effective and compact 1U WDM solutions that aid services providers and enterprises increase their fiber capacity while maintaining the flexibility of growth and high ROI. They provide necessary platforms to allow smooth and effective transition into a WDM optical network to satisfy today's high bandwidth needs while reducing the implementation, maintenance and growth costs.